After over 32 hours of no sleep, Day 2 came very early but all worth it especially after the spread we had at breakfast in the morning. They do not mess around here. Needed the food as today is going to be another busy day with the bus leaving at 9:14am and not returning until 5:45pm. 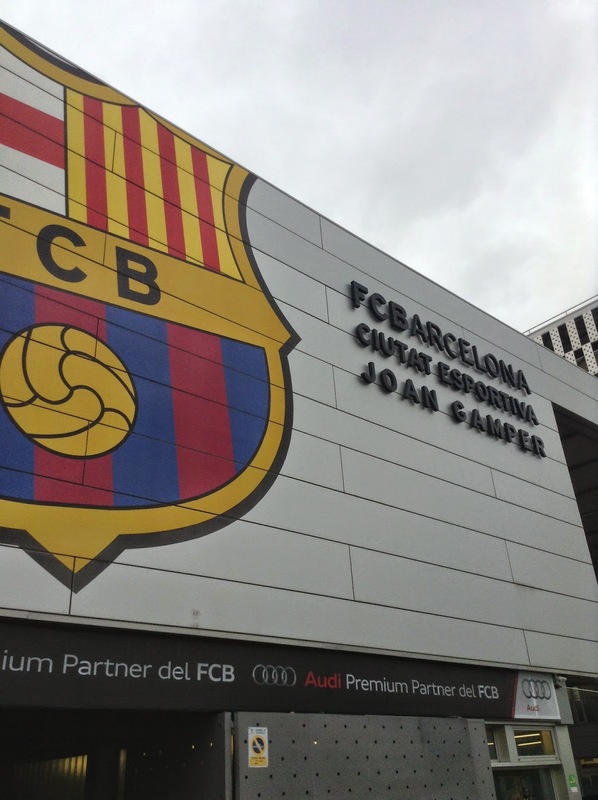 We arrived at the Fc Barcelona Ciutat Esportiva Joan Gamper Training Complex at 10:00am and had an opportunity to watch the youth academy teams play. The 9s and 10s started the morning playing 7v7 and the quality was outstanding, as to be expected. They play just like the first team. They were basically set up in a diamond with 2 players sitting in the middle of it and a goalkeeper demanding perfection out of the group the entire time. So basically a 1-4-1. 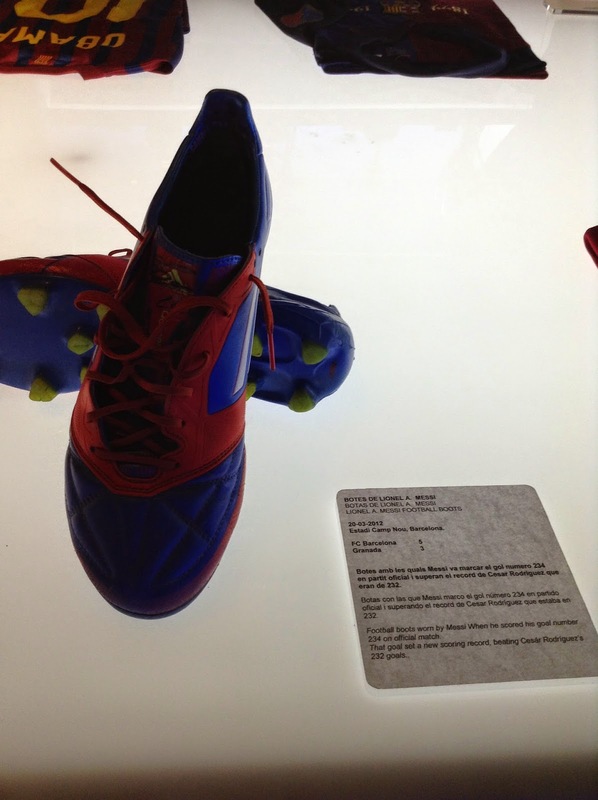 The technical ability was through the roof, the movement and awareness and expression was not far from perfection. The players all played multiple roles on the team which is part of their development. The 13s followed. 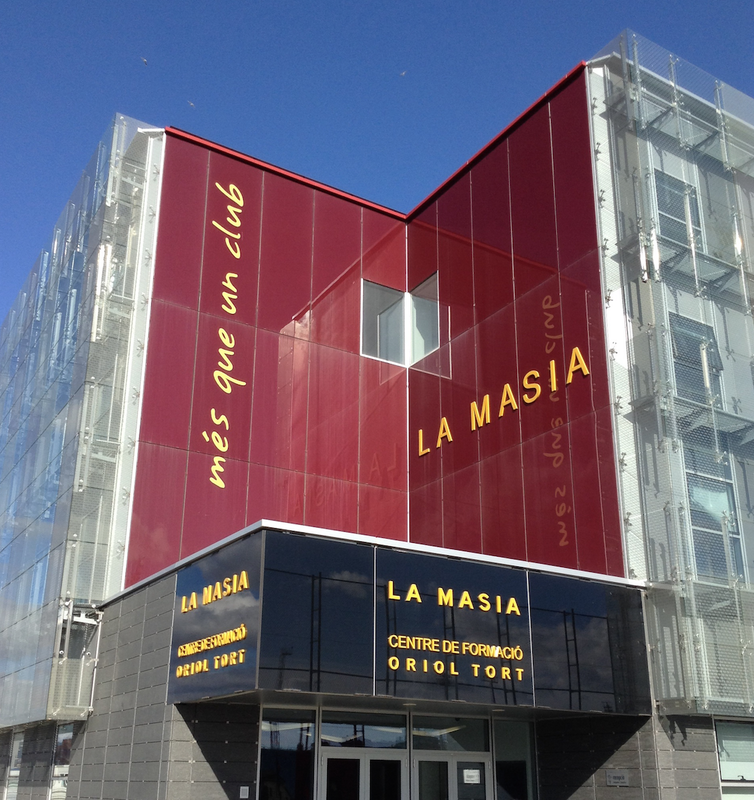 Before the 13s played we got an amazing opportunity to take a tour of La Masia which is basically the residence hall for the youth players from age 12-21. 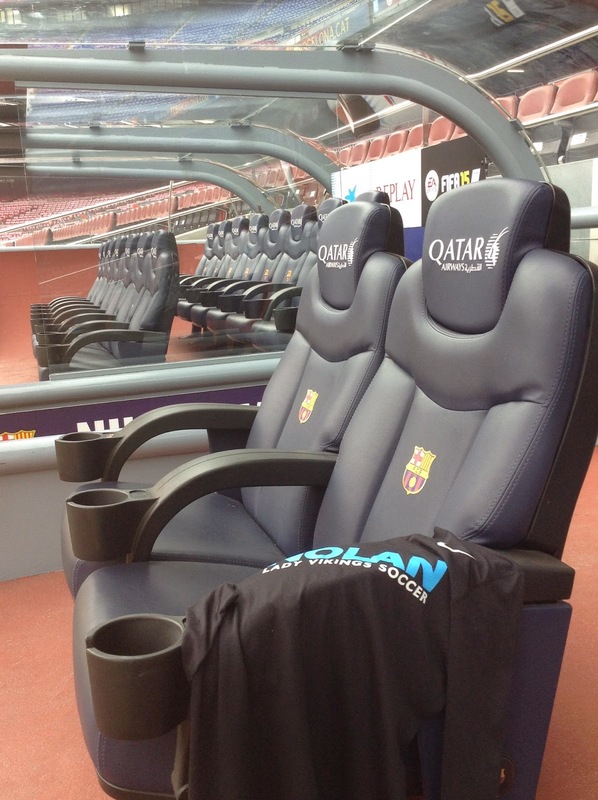 This is were identified players live while they train every day with the club. It is a goal to not only someday play for the first team as a pro but during their quest to be a pro they are to optimize their intellectual, personal, and social education. The objective of this residence has been to educate, both spiritually and intellectually, young people who have left their families and their communities to purse a career with Barca. 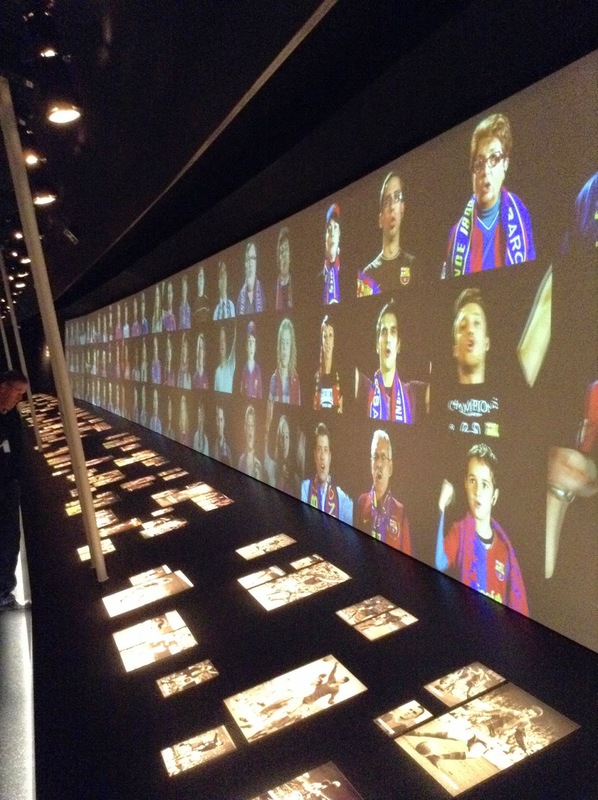 Currently, more then 30 young players brought up in La Masia have made their first-team debut. 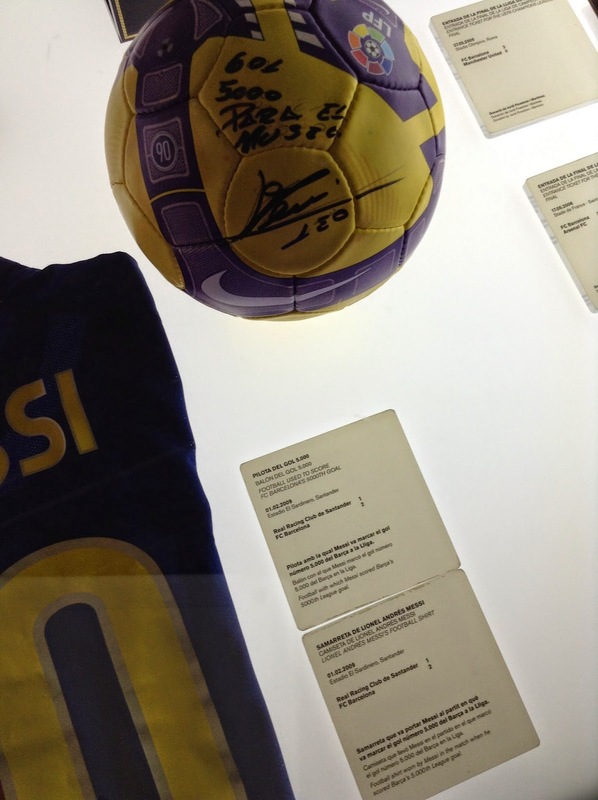 Among these are included Amor, Guardiola, Sergi, De la Pena, Puyol, Xavi, Reina, Victor Valdes, Gabri, and Messi. We were given a rare behind the scenes tour of the facility and were asked not to take pictures inside. 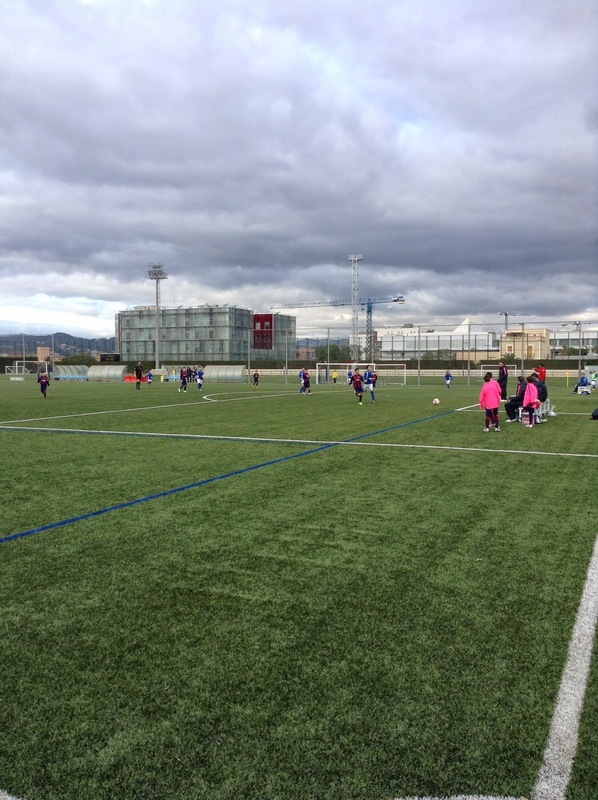 After watching the u13s we departed FC Barcelona and headed to RCD Espanyol which is another La Liga club across town. 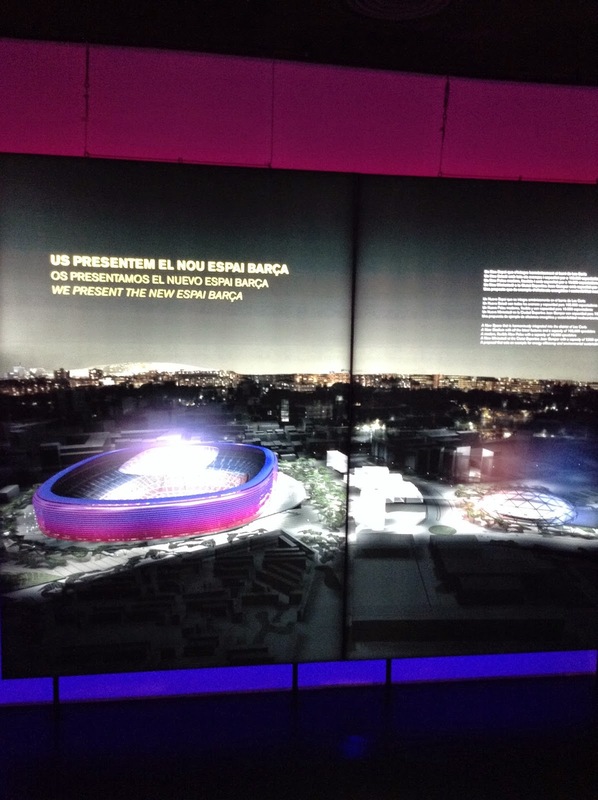 This facility was pretty special as well, not as immaculate as FC Barcelona but impressive. We analyzed youth games there as well u7s through u15s. The creativity and expression of these future pro players was so enjoyable to watch. So much passion, so much understanding and awareness and so much fun. After a solid day of observing 2 quality pro clubs youth teams we were set to head back to the hotel and catch the Man City/Chelsea game and head to dinner. It is 1:33am here in Barcelona and time to get some rest... can't wait for the breakfast in the morning. 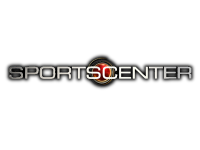 The SuperBowl will be on in 24 hours from now and the hotel will be showing it LIVE in the lobby at 1:00am tomorrow. GO Seahawks!! 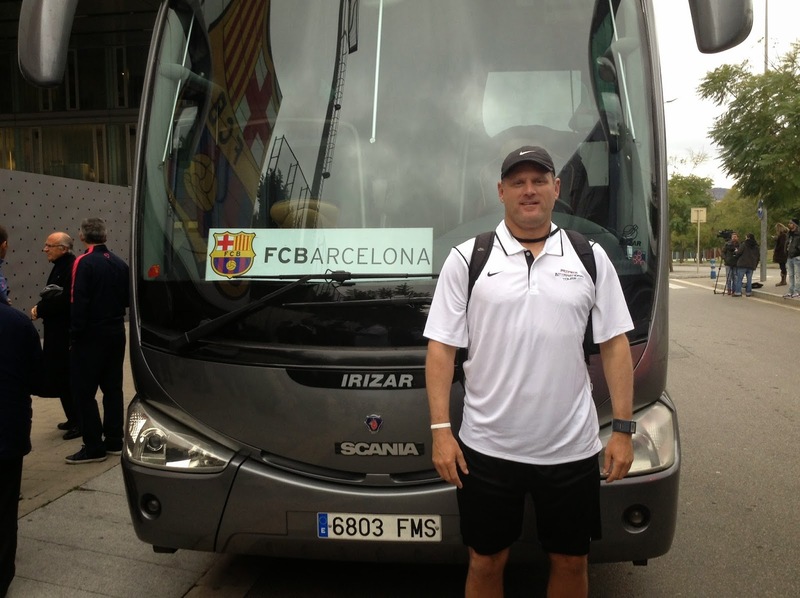 Lady Vikings head coach has travelled to Spain and the city of Barcelona through next Wednesday. 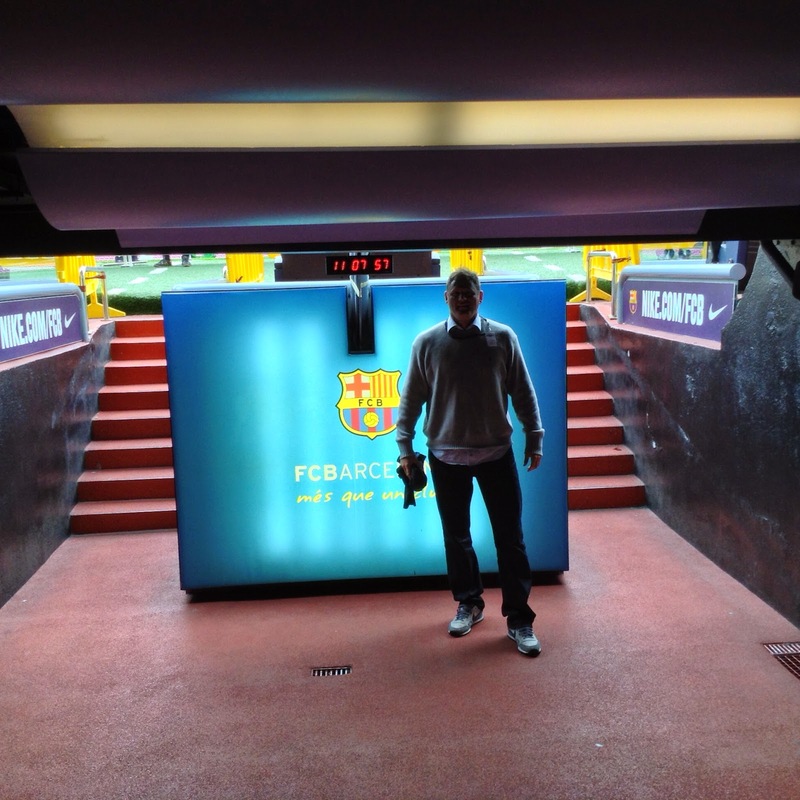 Join us for his Barca Daily Journal on his amazing experience. Well the first day of any international trip can be a bit long. I have been to England, Wales, Scotland, and Sweden, but never Spain. All week I thought I would get my flight to JFK or out of JFK cancelled due to the #Blizzardof2015. 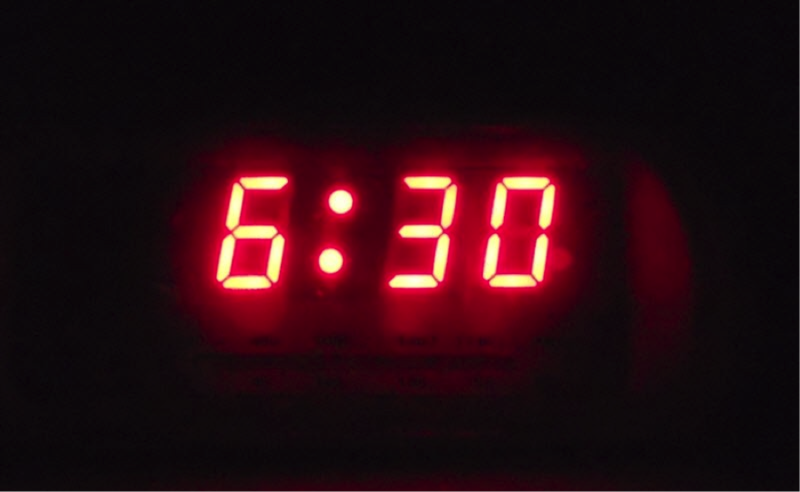 So this morning 6:30am came to fast so as I get ready to head out the door to get to the airport 3 hours out for international flights, I realized it was technically NOT an international flight as JFK was the connecting city. Get to DFW, get checked in, get some food and took off at 10:30am for the first leg of my trip to Barcelona International Airport. The flight was shorter then I thought due to string tail winds so once we arrived in New York it was 2:00pm and had to wait another 3 and a half hours before we got underway to Barcelona. Keep in mind this is January 29th at 2:00pm and I have been up since 6:30am so almost 7 hours. More food at JFK was calling my name forgetting that we will get food twice on the way to Spain. They started boarding at Gate 6 for Flight #66; kinda worried about that getting on the plain. The plane was WIDE open which is odd for any international flight, especially out of New York. I checked the loads and there were 66 seats available in the back (worried about all those 6s again) and 10 seats available up front. Plenty of room on this flight which was more good news because more extra food for me. The menu was great except for the nasty dried fruit, blue cheese salad they had for starters. Beef Filet, and Turkey Cutlet, and some type of fish were the choices. Beef it was and beef it was twice as they were able to accommodate me with an extra dinner. The flight attendants were awesome as usual on American Airlines (the only airline to fly by the way). Done with my 2 dinners with the dessert menu more appealing then anything. So showing no stopping stuffing my face my answer to the flight attendant after dessert was, "Yes, wake me up for breakfast." The captain came over the speaker saying we will be an hour early so instead of getting in at 6:30am, we will be getting in at 5:30am Barcelona time. So less sleep on the plane plus the entertainment centers they give you kept me up, watching Gotham, Brooklyn Nine Nine, and When the Game Stands Tall. The flight was very bumpy and turbulent on approach so no one was sleeping on that plane. So 16 hours an counting since the alarm clock going off and landing in Spain. Customs was easy and the baggage came quick but we were in no rush as we had to wait for 2 other flights to come in before we boarded the bus to head to Camp Nou. We are finally in route to one of the most famous and historic soccer stadiums in the world and the clock read 9:30am. So more than 20 hours wide awake. No way I was taking a nap as watching my bags was my top priority. We drive through the city around some historic landmarks including the Olympic Stadium, Estadi Olimpic Lluis Companys, home of the 1992 Summer Olympics. 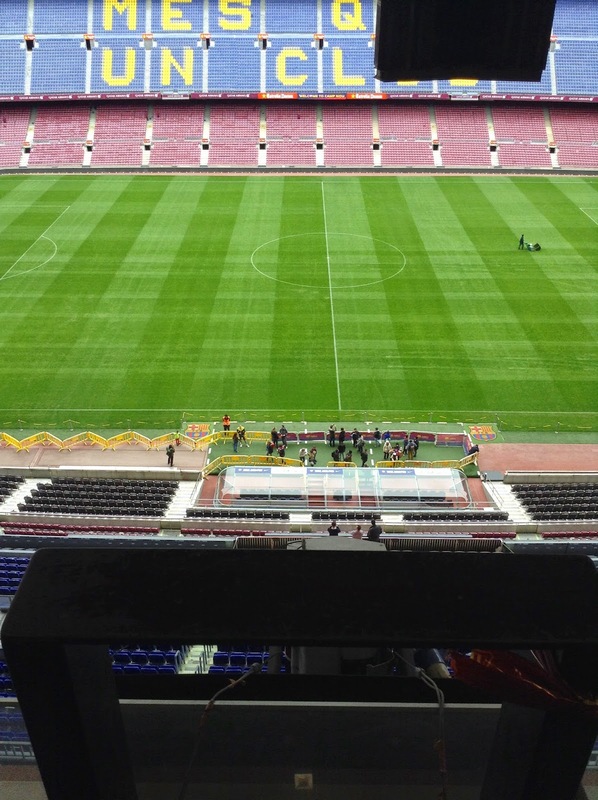 We finally get to Camp Nou and get an amazing behind the scenes tour of a stadium that houses one of the all-time best football clubs in the history of soccer. This stadium seats about 90,000 and will undergo a $600 million renovation increasing the capacity to 105,000. This place was massive. The seats go straight up instead of back so every seat is a good seat, even if you are in the press box, pictured below. 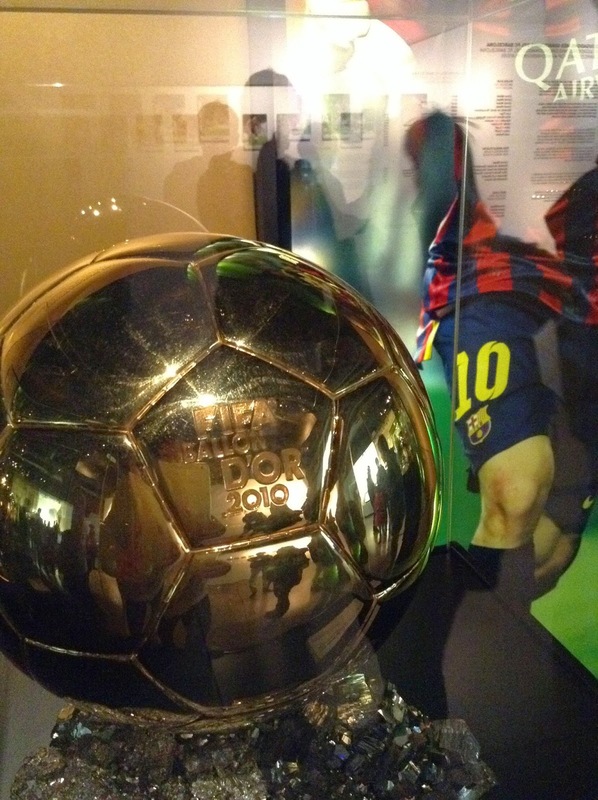 The tunnel going down to the field out from the changing rooms, the trophies, including the Ballon Dor were on display only with the numbers UEFA Champions League trophies. The Nolan Lady Vikings Soccer pre-game top made its way through the stadium as well. 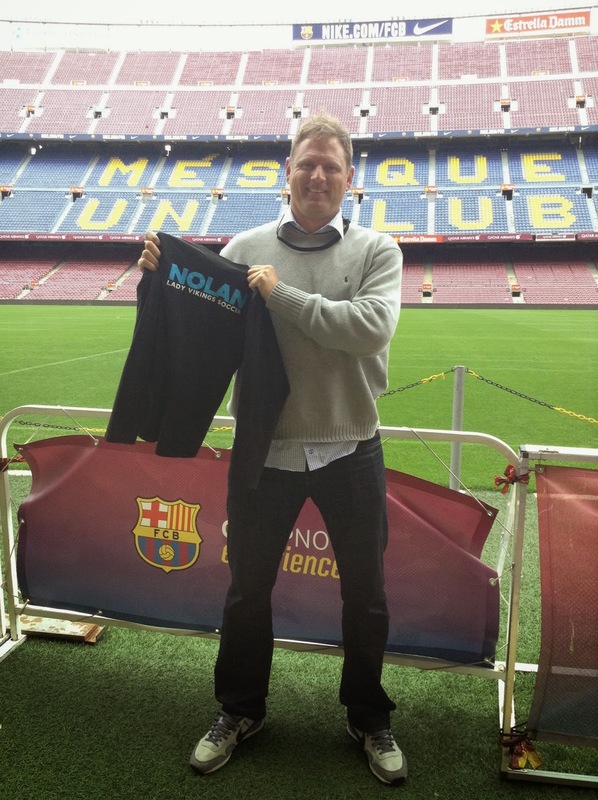 To see more pictures from #lvsaroundtheworld FOLLOW Us on Instagram or Twitter at @nolansoccer. 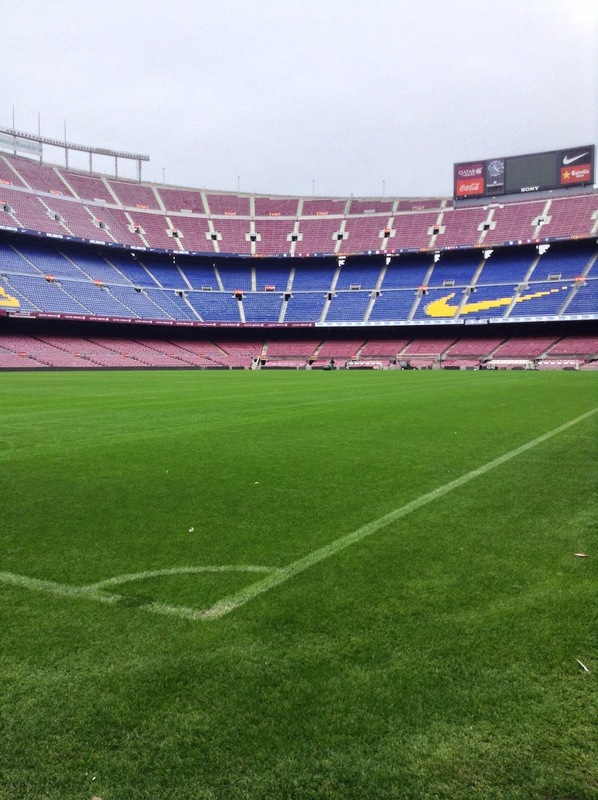 Following the behind the scenes Camp Nou Experience we finally made it back across town to the hotel. It is now 12:15pm Barca time. Almost 24 hours with no sleep but who wants to sleep. We check into a pretty nice hotel called Hotel Catalonia... small beds and small showers. We got to eat some more as lunch in Spain in between 2pm-4pm and dinner is between 9pm-11pm. They do things a bit different here. We had to be back on the bus at 2:30pm, actually 2:29pm as they are very strict on timeliness. We were meeting at Juniors FC for an FC Barcelona Video analysis lecture by Hans Schonhofer. 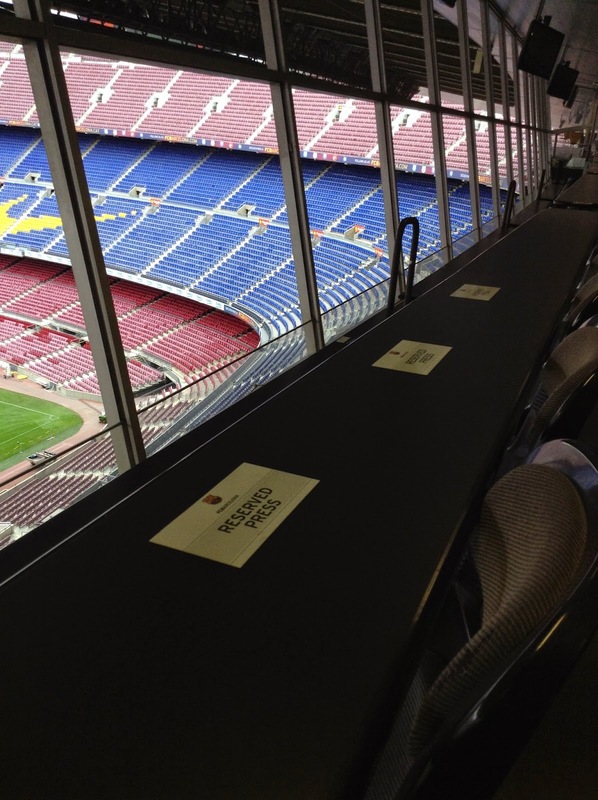 Schonhofer works with FC Barcelona and Bayern Munich running all their analysis. More note to follow on this lecture as this was some amazing stuff taking video to the next level. It is now 6:30pm and dinner is back at the hotel at 7:30pm. So upon arrive back at the hotel, we have been up for almost 32 hours and it is now time to get some rest before the big day tomorrow. Youth games in the morning, video analysis included, all at the new FC Barcelona Training Complex, Ciuat Esportiva Joan Gamper. 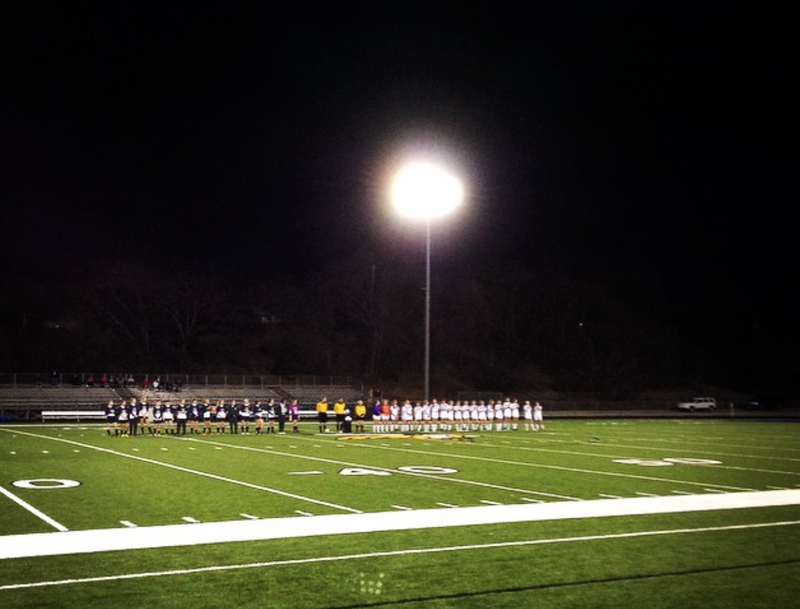 The Lady Vikings go 0-1-1 last night against the Friars. With the JV getting on the board early with a Taylor Shlemon goal, they were not able to hold that lead but kept the pressure on the entire match missing a couple chances to take the lead and the match. The scored stayed 1-1 moving the Lady Vikings to 3-2-1 in district play and in second place. Despite outshooting the Friars 15-10, the varsity were edged out 2-1. The Lady Vikings gave up a late goal on a free kick in the last minute of the first half and then stormed back with an equalizer by Gabbie Puente of the foot of Sarah Brown midway through the second half. The match continued back and forth until the Friars took control of a lose ball at the top of the box to pull ahead 2-1 and that is where the match finished. The Lady Vikings drop to 11-3-0 in district play and have clinched at least a 3rd place finish and with help can still finish on top. "We were good last night, with the exception of a couple moments in the game that Lynch was able to capitalize on. We are confident in our performance and will move forward," commented LVS head coach, Jay Fitzgerald. Up next for the teams is on the road at TCA on Monday night and then back home next Thursday night against Ursuline. The JV and Varsity women's soccer teams travel to Bishop Lynch tonight for a 6:00pm and 7:30pm kick-off. This is the second leg of the meeting between the 2 schools. Tonight is the 1st of the last 3 district games for the Lady Vikings with TCA and Ursuline left on the schedule taking place next week. District certification is Feb. 11th. The post season starts in 3 weeks for both teams. The Lady Vikings attacked and attacked often in tonights second leg against their Liberty opponent. Emily Keoughan got the scoring started with her run from outside back which stood as the game winner. Goalkeeper, Piper Head was credited with the assist, her second in as many games. Gwennie Puente completed the hat trick with the games next 3 unanswered goals, all in the first half of play. "We set the tone and never stopped; everyone played and everyone was solid," said LVS head coach, Jay Fitzgerald. Keoughan added her second of the night just 2 minutes into the second half, this time from her forward position. Jordan Gamboa feed her down the line for the helper. Gabbie Puente took a Sarah Brown corner and deposited it in the goal for her first of the evening and final of the night. The Lady Vikings improved from their 4-0 win against Liberty in the first leg with a 6-0 win tonight moving them to 11-2-0 in district and 18-4-0 overall. Bishop Lynch is the next stop for the Lady Vikings on Wednesday night with the JV at 6:00pm and the varsity at 7:30pm. The Lady Vikings take down host Duncanville in the championship of the Duncanville Kick-Off Classic by a score of 4-1. Gabbie Puente gets the Lady Vikings on the board first and Gwennie Puente adds 2 of her own, all in the first half. "We kind of got away from what we were doing to take a 3-0 lead but reminded patient, played very well in the 2nd half and got an important goal from one of our freshman," mentioned LVS head coach, Jay Fitzgerald. Paige Rotto scored the lone goal in the second half and the Lady Vikings cruised on to take the championship. Up next for Nolan Catholic is Liberty at home on Monday and Bishop Lynch on the road on Wednesday. LVS battles in 2 tournaments across town from each other with the varsity in Duncanville and the JV in Justin. Gabbie Puente scores 2 goals yesterday afternoon to help the Lady Vikings improve to 16-4-0 over Cedar Hill. The Lady Vikings carried a 4-1 lead into halftime of the Duncanville Kick-Off Classic semi-final and were able to hold on to advance to the championship match which will be played today at 1:00pm. Gwennie Puente and Megan Bettinger both scored for the Lady Vikings as well. Lady Vikings head coach, Jay Fitzgerald said, "This was an important game today as we were able to battle through some adversity and stick up for each other." Junior, goalkeeper, Gracie Emrich saved a penalty kick in the last minute of the game to preserve the 4-2 win for the Lady Vikings. Across town at Northwest High School in Justin, TX, the JV just missed out on advancing to the semi-finals in a shootout. Mikaela Gamboa helped the Lady Vikings to a 1-0 win in the morning over WF Rider and then scored 3 more goals in the quarter-final. Going up a goal in the first half, then down 2-1 at halftime, the Lady Vikings battled back to take a 3-2 lead but Keller was able to even the score before the end of regulation. Keller prevailed in the shoot-out by a score of 4-3. LVS shootout goals were scored by Taylor Shlemon, Abbey Button, and Koryn Brookshire. The JV takes their 12-5-2 record into todays 12:30pm match against Byron Nelson in the 5th place match at Northwest High School Stadium. This brand new stadium was just added to the campus last year. They have 3 stadiums on campus: NISD Stadium where LVS played their first 2 matches, Texans Stadium which sits across the parking lot, and NHS Stadium where LVS will play tomorrow which is located across campus. 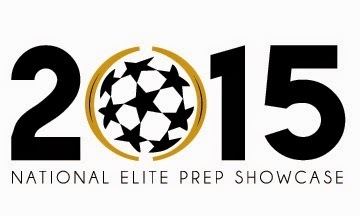 The National Elite Prep Showcase is an annual stop each January for girls high school soccer teams that subscribe to the theory you have to play the best to be the best. The event, in its 12th year, brought top programs from around the state and the country to venues across Fort Worth for three days of high-caliber competition Jan. 8-10 as UIL regular-season play started. Co-hosts Nolan and Southlake Carroll were among 36 teams that braved cold weather to test themselves against some of the state and nation’s elite. Nolan went 2-1 in its three matches, losing 4-1 to San Diego Cathedral Catholic, which is ranked No. 1 in the country by the National Soccer Coaches Association of America. Nolan also impressed with a rally against Belton. Trailing 3-0 at halftime, the Vikings scored four goals in the first 17 minutes of the second half to win 4-3. “We figured out in that moment, that if we go down in a championship, or in a playoff game, we know that we’ve done it. We’ve come back from being 3-0 down. I look at that as being more valuable than anything,” Fitzgerald added. Carroll also posted a 2-1 record, defeating Fort Worth Arlington Heights and El Camino (Calif.) sandwiched around a loss to Austin Westlake. Carroll has high expectations this season, and playing in the showcase provided them an early measuring stick. Another local team that had a successful showcase was Keller. The Indians, who were among the Star-Telegram teams to watch this season, won all three matches, defeating McKinney Boyd, Grapevine and Arlington Martin. Another local team with high hopes this year, Trophy Club Nelson, defeated Katy Seven Lakes and Klein and lost to Coppell. Nolan Catholic forward Gwennie Puente, the Star-Telegram Super Team Player of the Year last season, crossed the century mark for her high school career with her two goals Monday against Plano Prestonwood . The senior scored her milestone 100th and 101st goals. Puente had 49 goals last season as a junior. She has committed to play at Texas Tech next year. “It’s tough to find kids who know where to be around the goal,” Fitzgerald said. “Then it’s tough to find the kids who can actually put the ball in the goal in situations when they’re double-teamed and triple-teamed. The varsity advanced to the semi-final of the Duncanville Kick-Off Classic with their win over Adamson last night. Gabbie Puente and Emily Keoughan each recorded hat tricks while Meagan Kittleson and Hannah Reeves scored their first and second goals of their high school careers. Megan Bettinger, Kat Paul, Jordan Gamboa, and Paige Rotto got on the board as well. Today the varsity takes on Cedar Hill who won 4-0 over Thomas Jefferson last night. The winner takes on host, Duncanville in the championship tomorrow at 1:00pm. The matches today have been moved to Panther Stadium due to the rain but tomorrow matches will be played at Old Panther Field. The look to continue where they left off last weekend as they were crowned champions of the Brewer Bear Cave Classic with their 2-0 championship win over Paschal. They play in the NISD Invitational starting today with their opening round game against WF Rider at 1:30pm at NISD Stadium. Their second game on the day is set for 6:45pm against either Keller or North Crowley. The varsity women's soccer team will compete in the Duncanville Kick-Off Classic tonight at 6:00pm. All games are to be played at Old Panther Field which is natural grass but will be moved to Duncanville High School's Panther Stadium if the rain continues to fall. The Lady Vikings look to improve on their 14-4-0 record with their match-up tonight against Adamson. The winner plays in the semi-final against the winner of the Cedar Hill/Thomas Jefferson match which will be played at 4:00pm today. All teams will play 3 matches in the event... winners will move on to the semi-finals and championship and other teams will move into consultation matches. The Lady Vikings traveled to Plano Prestonwood today for a 2:00pm afternoon kick-off and returned home with an improved district record of 10-2-0 and an overall mark of 14-4-0. Senior, Gwennie Puente and freshman, Megan Bettinger both scored a pair of goals helping the Lady Vikings to their 4-0 road shutout. Bettinger scored career goals #11 and #12 and Puente scored #100 and #101 for her career. "We are so happy for Gwennie, she deserves it; what a milestone in her phenomenal high school career with even more to come," said LVS head coach, Jay Fitzgerald. Puente has 19 goals so far this year with plenty of soccer to be played. 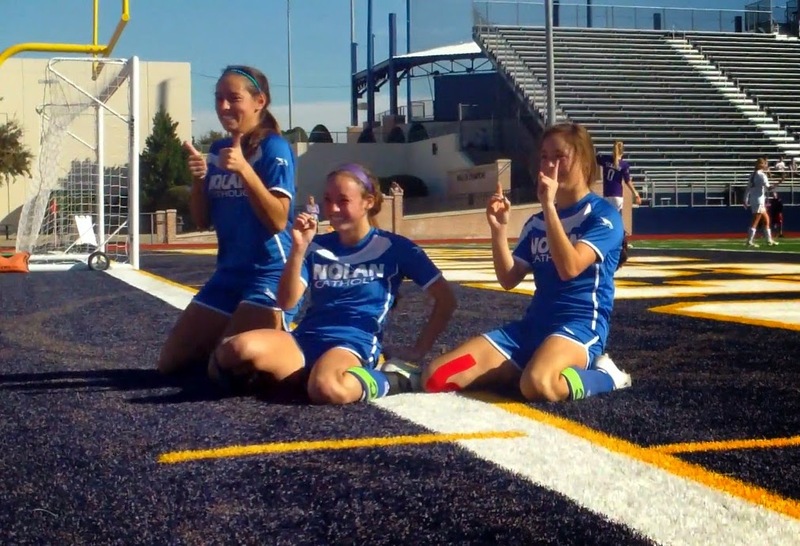 To make it even more special she scored her 100th goal with the help of her twin sister, Gabbie Puente. Both sisters will be going on to play college soccer at Texas Tech University. Congrats to #10 Gwennie Puente on an amazing achievement. CLICK HERE to see the goal. The Lady Vikings are on the road today as they travel to Plano Prestonwood as district play continues at 2pm. With a 9-2-0 district record and an overall record of 13-4-0 the Lady Vikings are busy again this week with the Duncanville Kick-Off Classic coming on Thursday and going through Saturday. It was in 1999, when the Lady Vikings last played in the event losing to Martin High School in the championship match 2-0. Nolan Catholic will take on Adamson in the first round of the Kick-Off Classic. The JV travel to Northwest High School on Friday to compete in the NISD Invitational. The Chase is ON for LVS, senior, forward Gwennie Puente. She has piled up 99 goals on her career and looks to hit the century mark this week. She moved into tie for 6th place in Nolan Catholic Women's Soccer career goals with LVS and TCU Women's Soccer standout, Jackie Torda, with her 99th goal against Irving Nimitz last Saturday. JV gets big opening win over LD Bell in the Brewer Bee Cave Classic this afternoon. Mikaela Gamboa got the scoring started for the Lady Vikings. Koryn Brookshire added to the Nolan Catholic lead and Gamboa answered again to give the JV a convincing 3-0 win. Mineral Wells is up next tomorrow morning at 9:00am at Brewer High School #4. The varsity look to match their opening Allison Horn Memorial Showcase win over Denton Guyer against Colleyville Heritage tonight but were unable to do so. The Lady Vikings were not able to get on the scoreboard tonight and were shutout for only the second time in 2 years. Colleyville Heritge scored both their goals in the final minute of each half to drop Nolan Catholic to 12-4-0. It all comes down to tomorrow matches to see who advances to the championship match. Currently the Lady Vikings sit in 2nd place with 10 points while host, Colleyville Heritage has 18 points. Denton Guyer has 10 points as well and Irving Nimtz has 1 point. The Lady Vikings take on Nimitz tomorrow for a spot in the final but need help from Denton Guyer. The championship match is slated for 5pm at Mustang-Panther Stadium tomorrow evening. The Allison Horn Memorial Showcase started tonight and the Lady Vikings set the tone in their first game with a 3-0 shutout win over Denton Guyer. Guyer is currently ranked #17 in the nation. The Lady Vikings were strong from the opening whistle. Gabbie Puente got the scoring started in the 16th minute as she cut across the top of the 18 and struck a shot the Denton Ryan goalkeeper just couldn't handle, just getting under her outstretched dive. With the Lady Vikings up a goal at half, they kept the pressure on and just 10 minutes into the half, Sarah Brown whipped her corner in over the top of the keeper and into the back post. Gwennie Puente put the exclamation mark on the game with her left footed strike into the far post side netting off a quality entry pass by Kat Paul. "This game was absolute quality for our side; we were organized, we kept the ball, we transitioned well, and we took advantage of our opportunities," said LVS head coach, Jay Fitzgerald. The Lady Vikings kept their foot on the pedal the entire game. They were very efficient on the ball and worked hard to win it back as a group. When it was time to be simple, they showed patience, and when it was time to dynamic, they were decisive. Three quality goals and an overall team effort against one of the best teams in the country. The Lady Vikings take on host, Colleyville Heritage tomorrow night at 8:00pm in the second game of the showcase at Mustang-Panther Stadium. The JV starts their own tournament tomorrow, the Brewer Bee Cave Classic. They kick-off at 3:00pm against LD Bell at Brewer HS Field #4. Ten different players scored on Tuesday night as the Lady Vikings improved to 11-3-0 and 9-2-0 in district play. Brennan Flynn started the scoring with her first goal of the year after being out the first half of the season. Megan Bettinger and Gabbie Puente both scored 2 goals a piece while Emily Keoughan, Kat Paul, Gwennie Puente, Jordan Gamboa, Marissa Baldasti, Sarah Brown, and Kate Kleiser all got onto the score sheet. The Lady Vikings start the Allison Horn Memorial Showcase tonight against Denton Guyer at Colleyville Heritage at 8:00pm. Guyer was the UIL State Champion 2 years ago. "Our program prides itself in the challenges we seek out each and every year; our strength of schedule is one of the top in the country," said LVS head coach, Jay Fitzgerald. The Lady Vikings have competed in the Colleyville Heritage event for the past 8 years. 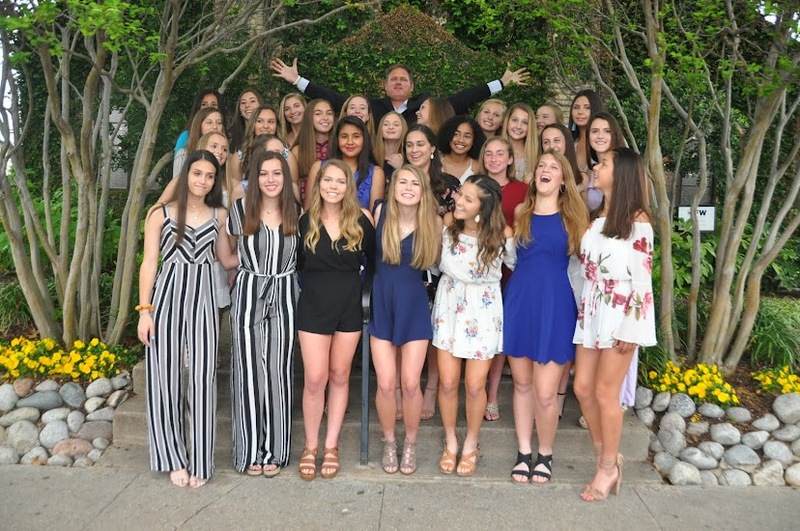 Fitzgerald use to coach Allison Horn in the Texas Image Soccer Club. On Friday, March 21st, 2003, Horn, a 19-year old, Texas Tech Women's Soccer players' dreams were cut short when she was killed by a drunk driver. Fitzgerald said, "The event was created in honor of and celebration of the life of Allison, as we are reminded that life is precious. Allison lived every day to the fullest." The showcase continues through Saturday. The Lady Vikings JV took down Coppell last night and it took just about the entire 70 minutes to do it, well actually 69:51. Mikaela Gamboa answered an early Coppell goal to even the score for the Lady Vikings and then once again later in the second half to tie the score again. Twice in the match the Lady Vikings came from a goal down and then with the time ticking down at the end of the game, Koryn Brookeshire took a ball and from about 20 yards out and made it count. That was the final answer of the night which propelled the Lady Vikngs to the 3-2 win and a 7-5-0 overall record. The JV competes in the Brewer High School Bee Cave Classic starting on Friday continuing through Saturday. The varsity went 2-1-0 in the National Elite Prep Shwocase and take on Dunne tonight at 5:30pm at home and compete in the Allison Horn Memorial Showcase Thursday through Saturday. After taking on the #1 team in the land the night before, the Lady Vikings started a bit slow but finished with a flurry of goals in a span of 17 minutes. Before you knew it, Belton was up 3-0 at the half but the Lady Vikings had an answer for each one and then one more. The second half whistle blew and the race started. Megan Bettinger got Nolan Catholic on the board as she cleaned up a Gabbie Puente rebound inside the Belton, 18 yard box and 17 minutes later it was Belton who was chasing the game. With Nolan down by just 2 now, Gabbie Puente converted on a penalty kick, Regan Hafer evened the score off a corner from Puente, and the Puente put the Vikings ahead for good off an assist from Marissa Baldasti. "I am real proud of this team, they faced some adversity today and they expressed themselves and showed true relentless character," said Lady Vikings head coach, Jay Fitzgerald. Nolan Catholic improved to 9-3-0 with their 4-3 NEPS win over Belton today and will take on Fort Bend Clements tomorrow at 12:00pm at Doskocil Stadium. 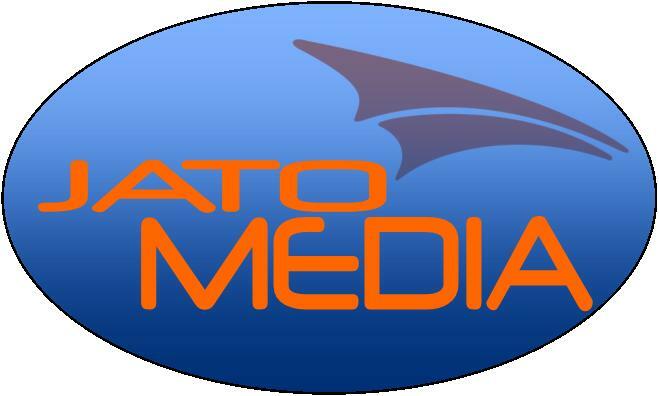 CLICK HERE for more NEPS Updates and Follow the event on Instagram @NEPShowcase and on Twitter @jatoathletics. Across town in the GCISD Invitational the JV didn't fair as well as they dropped their match to Colleyville Heritage 2-0 and move to 1-1 in the event and 6-4-0 overall. They take on Keller tomorrow at 10:00am at Cross Timbers Middle School. Down 2 goals early in the game, the Lady Vikings fight back to cut the Cathedral Catholic lead in half just before the end of the 1st half on a goal by Regan Hafer. A very patient Lady Vikings side was able to get themselves back in the game. The light at the end of the tunnel was right in front of them but they fell short late in the game. With 8 minutes to play the Lady Dons extended their lead with 2 goals by Arizona commit, Dana Dalton. The Lady Vikings were not done and continued to push forward but the Dons goalkeeper, Emily Sanchez was up to the task as she was able to smoother the ball away from LVS senior, Gwennie Puente on her breakaway attempt. Nolan head coach, Jay Fitzgerald said, "We had a game plan that gave us a chance to win this game tonight and when we are patient, we are dangerous. That team is very good but they had to fight to win it. The 4-1 win was not a sign of how close we were." NEPS continues tomorrow but each team will only play 1 game a piece and the Lady Vikings get Day 2 kicked off at 12:00pm at Doskocil Stadium against Belton. While the varsity was up against #1, the JV were battling it out in the GCISD JV Invitational and they get an impressive win tonight over host Grapevine. Jordan Hisel provides the games only goal but that was all the Lady Vikings needed to improve to 6-3-0 with their 1-0 win tonight. The JV continues play tomorrow against Colleyville Heritage at 3:00pm at Grapevine Middle School Stadium. This match was originally suppose to kick-off at 4:00pm but due to the cold weather the games tomorrow were moved up an hour. LVS has a busy week with the JV at the GCISD JV Invitational and the varsity hosting the National Elite Prep Showcase which is arguably the top showcase in the country. Speaking of top, the varsity takes on the countries #1 team, the Cathedral Catholic Dons from San Diego. It is 80 degrees in San Diego and 30 degrees here; neither team is use to the cold but at 7:00pm tonight the team's kick-off at Doskocil Stadium. Nolan Catholic has Big 12 college commits and Cathedral has PAC-10 college commits. Nolan Catholic has top Dallas/Fort Worth club players that have won National Championships and the Dons have top club players from Southern California that have also won National Championships. Nolan Catholic is home and Cathedral Catholic is 1,358 miles from home. The Lady Vikings are 8-2-0 and the Dons are 11-0-0. "This is an opportunity, an opportunity these players and this program continues to earn," said Nolan Catholic head coach, Jay Fitzgerald, "we need to learn to appreciate these opportunities and fight like heck for each other in these moments." The NEPS event runs through Saturday afternoon. The Lady Vikings will take on Belton and Fort Bend Clements as well, in the event. The Friday schedule has been adjusted and each team will only play 1 game instead of the original 2. The Friday morning matches have been moved and all games will start at noon that day. For more information on the event and for updates CLICK HERE. The JV take to the road at the GCISD JV Invitational against Grapevine, Colleyville Heritage, and Keller. Games will be played at Cross Timers Middle School and Grapevine Middle School. The first game is today at 5:45pm as the JV looks to improve on their 5-3-0 record against Grapevine. The event also runs through Saturday. The Lady Vikings roar back from Christmas Break improving to 8-2-0 on the season and in district play with a 10-0 win over Parish yesterday afternoon. Five different players scored goals with Gwennie Puente accounting for 4 of the 10. "You never know what to expect when you come back from break but it was a real solid win for us," said LVS head coach, Jay Fitzgerald. Marissa Baldasti and Jordan Gamboa each scored 2 goals a piece while Gabbie Puente and Emily Keoughan each scored 1. The Nolan Catholic Women's Soccer team hosts the former Nolan Showcase this Thursday through Saturday, the National Elite Prep Showcase. It is the top high school girls soccer showcase in the country bringing in the top teams from California, Florida, and obviously Texas. For more information on the event and to get updates on scores CLICK HERE. The Lady Vikings take on Cathedral Catholic from San Diego in the first round of the NEPS on Thursday evening at 7:00pm at Doskocil Stadium. As we ring in the New Year, we thank everyone for making 2014 a great year and look forward to your progress and dedication to making this program the very best. Here's to a safe and happy 2015! !